This recent article on Grubstreet San Francisco was a direct attack on everything I hold dear. Bartenders in SF are debating vodka's worth and, as they put it, its over-hyped, undeserved reputation. I remember learning that Santa Claus was a myth. I remember hearing that the Challenger had exploded. I remember the day I discovered my first gray hair. But, nothing, NOTHING compares to this. An attack on vodka is an attack on everything I hold dear. Have you tasted the pure deliciousness that is Hanger One Buddha Hand on the rocks? No? Have you lived?!! Now, I agree that there are many other wonderful drinks out there to sample. I'm not one to stand between anyone and his or her drink of choice--unless of course I'm standing at the bar, then I'm probably in front of you. 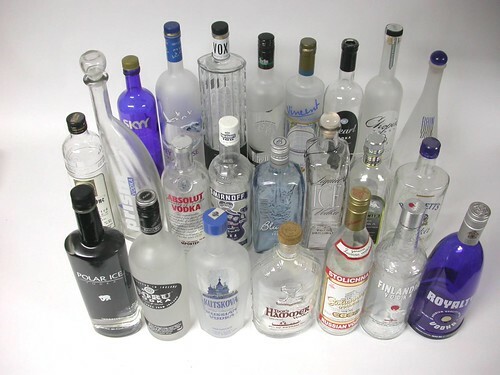 But, despite the deep complex flavor of a classic rye or the surprising spice of a well-crafted gin, I think you will have to agree that nothing satisfies the way vodka and your choice of mixer (or not) does. It's simple, it's pure, it's clear, and it's readily available. So, bartenders of San Francisco, please pay attention: I love you. I really do. You have done so much for me. But you need to learn not to bite the hand (or potato/wheat stalk) that feeds you. If I want to order an Absolut and cranberry, please don't roll your eyes. Don't look at me like I've just driven in from Concord or Redwood City and haven't been exposed to your artisanal alcohol concoctions. I have; I really have. But, some times, yes, some times, I want to bathe in the comfort of clarity and be cradled in the arms of the alcohol of my youth. I expect not to be judged for my nostalgia. Can you do that for me? I promise to tip well. Mention booze and I pop on here like a jeannie. Vodka is my friend (so he tells me). I'll try to devote at least one post per week to wine and spirits just for you.